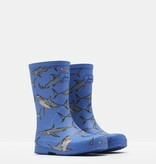 Joules shark rain boots are waterproof, flexible, and lightweight. 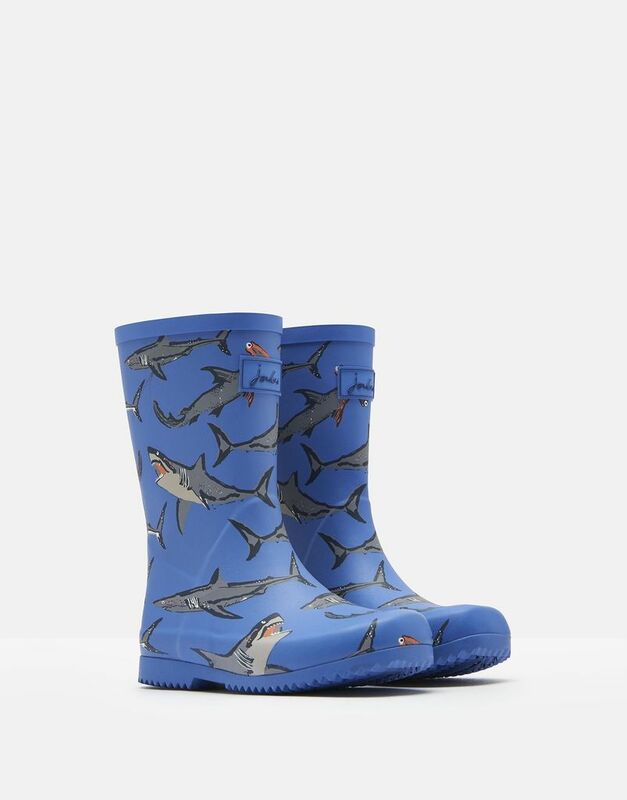 Covered by our 1 year guarantee, these roll up rain boots feature a water dispersing outsole and natural rubber side strap & buckle. Additional features include reflective back strap & removable insoles.